VitiLoire: A city, a region and their wines! 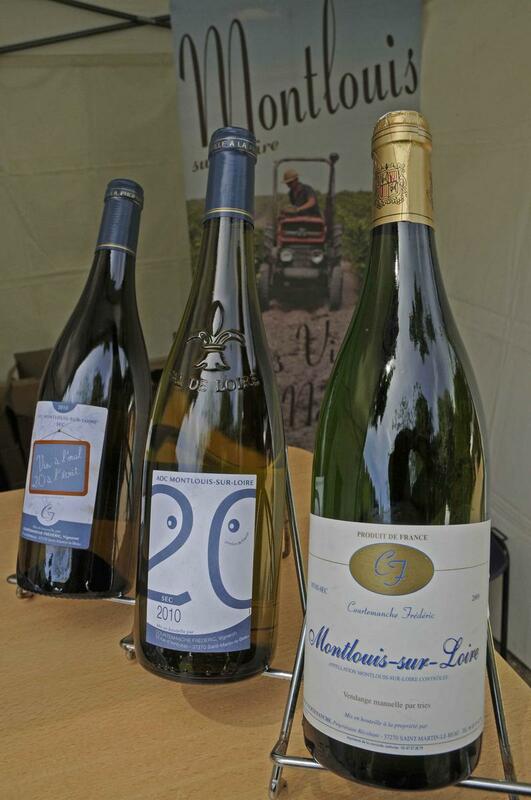 For 12 years now the wines from the Loire Valley are celebrated in a Wine Festival called VitiLoire. Take a weekend to discover the city of Tours, the varied local wines and if you’ve got more time travel along the Loire River and its wonderful Renaissance castles. The vineyards of the “Val de Loire” are the vastest and the most diversified ones in France. The legend says that it all started in 380 when Saint Martin a roman soldier who was converted to Christianity made wine for the first time in the region. But it is true that the vineyards were owned and developed by monks throughout the valley since the Middle Ages. There are 4 main wine-growing regions: the “Pays Nantais” (surrounding the city of Nantes) close to the Atlantic Ocean, the “Anjou Saumur”, the “Touraine” and the “Vignoble du Centre”, gathering together 70 protected designations of origin. Although the region is mainly known to produce white wines the range of wines is amazing: there are red, rosé and white wines available still or sparkling as well as dry, semi-dry, sweet and medium sweet. From the alchemy between the soil, the climate and the grape varieties the wine makers create many different nectars. It takes some times to train your “palais” to all their nuances and VitiLoire is a good opportunity to start. The Wine Festival takes place in the streets of the old city of Tours and for 2 days you can take part in many events. This year 150 wine makers will each have a stall where you will be able to talk with them about their products and work. Wine making is an always-progressing process and organic farming is getting more and more popular in the region. Of course you will be able to taste wines: when arriving at the Festival you can buy for 5 Euros a wine tasting glass and get it filled for free at any stall during the week-end. There are also drinking water fountains scattered along the streets and, if you came by car, there will be breathalysers available at the Road Safety stall. Each year is the occasion to also promote the wines from another country and this year Portugal will offer a selection of its best wines. Of course VitiLoire is also the opportunity to discover the local gastronomy: a “Greedy Village” will be set on the “Place de la Gare” (the Railway Station Square) and you will be able to eat food made with local produce cooked right in front of you: a mouth watering show! Why not try the “fouaces”: these are small hollow bread buns that you can fill with other local specialities such as “rillons” made with small pieces of fried pork, “rillettes” a kind of paté, Sainte Maure a local goat cheese, haricot beans, jams or whatever you’d like to taste! You can also attend oenological workshops where you will learn more about wine and wine tasting. The city of Tours is worth seeing. Loved by many French Kings, Tours has a rich architectural heritage and was nominated City of Art and History in 2000. During the wine Festival 2 guided hikes will take you through its streets. The meeting point will be at the Tourism Information Office at 9 am on Saturday and on Sunday mornings. You can also make your on way through its different districts: in “Vieux Tours”, Old Tours, you will see half-timbered houses, cobbled streets and palaces from the Renaissance. 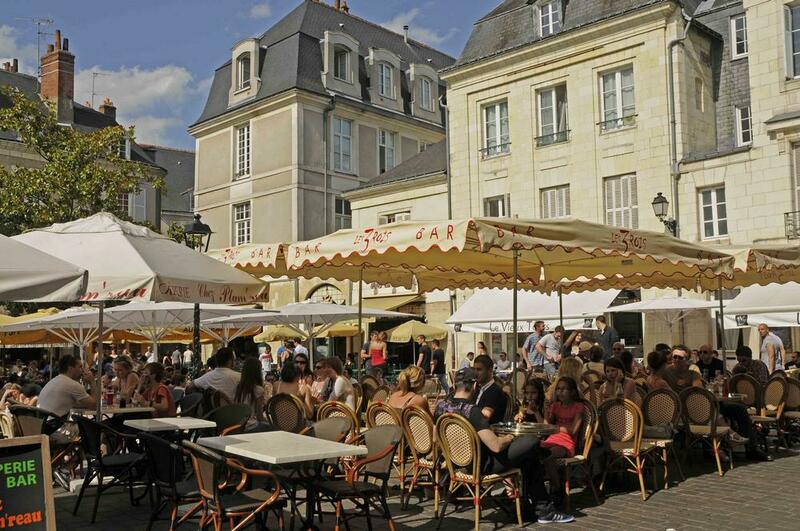 The second district surrounding the “Halles”, the Old Market Place, is the place to go to entertain: restaurants, wine bars, small theatres are waiting for you. The Saint Gatien Cathedral is not to be missed: built from the 12th till the 16th centuries it gathers several styles from Romanic to Flamboyant Gothic and to Renaissance. The stained-glass windows are exceptional. In the ambulatory chapels they make up a unique group: made during the 12th century they survived the centuries without any damage. 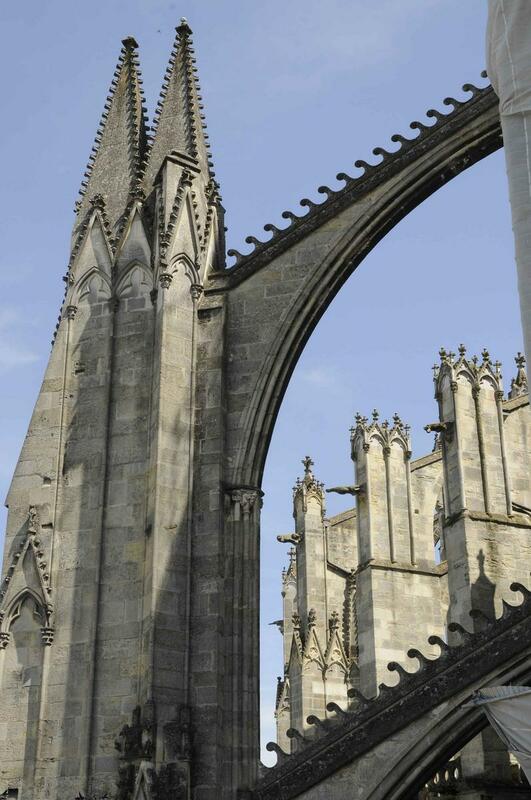 Next to the Cathedral the cloister has kept its original architectural elements. 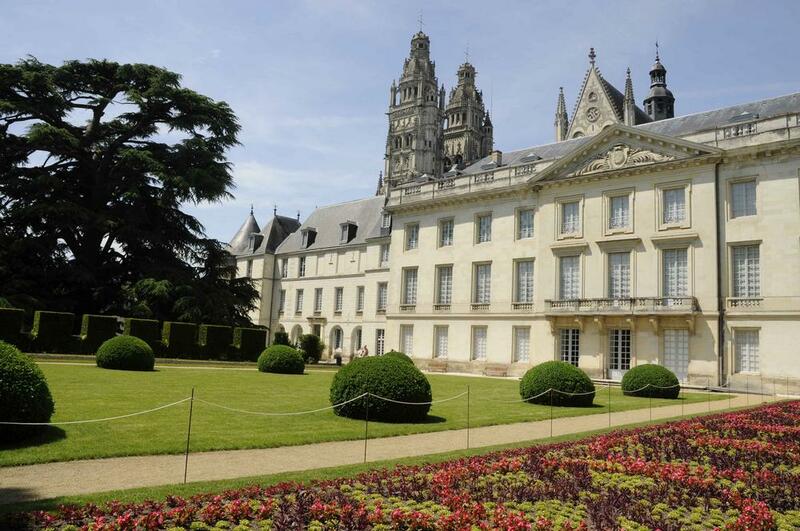 To make your cultural visit of the Cathedral district complete you can go to the “Musée des Beaux Arts”: set in the Archbishop Palace in front of a French-style garden, it houses French, Dutch and Flemish paintings. Several airline companies can take you from London to Tours Saint Symphorien Airport, it’s only a 1 hour trip.